Regardless of where they went to school or what curriculum they followed, students are tested on the same material, which can be loosely grouped into knowledge domains and skill sets that encompass the natural sciences, the social sciences, the humanities, reading, speaking, writing, and mathematics. The most commonly used standardized tests are the ACT and the SAT. Generally speaking, colleges and universities will accept either one. At some colleges and universities, these tests are required only of U.S. students; schools may measure the academic preparation of international students by reviewing the secondary school curriculum and the student’s performance in that curriculum. Some schools don’t require standardized tests at all, and others may use the test scores to determine scholarship eligibility, but not admission. The ACT is a multiple-choice test, with the sections of English, Math, Reading, Science, and an optional Writing portion (check with the schools to which you are applying to determine whether they require it). Students must register directly with the supervisor of the test center where they wish to take the exam. ACT test dates inside and outside the United States are the same (February, April, June, and October), with the Writing portion only available outside the United States in April and October. Because not all centers are scheduled for every test date, be sure to check with your test center or www.actstudent.org. SAT questions are divided into a Writing section that includes multiple-choice questions and an essay; a Critical Reading section that includes reading passages and tests comprehension and vocabulary; and a Math section that tests your ability to apply mathematical reasoning concepts and interpret data. The SAT is administered six times a year (October, November, December, January, May, and June). 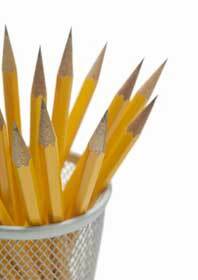 The SAT Subject Tests are multiple-choice exams in specific subject areas. Not all colleges and universities require them. Check the requirements of the institutions you are applying to before deciding which of the 20 subject tests you will take. You may be able to test out of certain requirements by achieving specific scores. Check with the College Board’s website to see when the Subject Tests you wish to take will be offered. U.S. colleges and universities almost uniformly require some measurement of language ability for all international applicants. The most commonly used exam is the TOEFL® (Test of English as a Foreign Language), offered by ETS (Educational Testing Service). The TOEFL iBT™ (Internet-based test) is administered in most countries, and the paper-based TOEFL test is offered on a limited basis in locations where the TOEFL iBT test is not available. Check the TOEFL website to find out which versions are offered in your country. A second test, the IELTS (International English Language Testing System), offered by the British Council, is seeing increased use. Check out www.ielts.org to see when it is offered near you. Colleges and universities will likely require one of these two exams to measure English language proficiency. Check to see which exam is required by the colleges and universities to which you are applying, so you may register for the appropriate one. Both the TOEFL test and IELTS measure students’ English skills in four areas—speaking, writing, reading, and listening. The speaking section is often the most difficult for international students planning to study in the United States. Prepare for either of these exams by practicing your English speaking skills—with a native speaker, if possible. Colleges and universities use these exams in two ways during the admission process. First, most institutions set a minimum TOEFL score, so that they can be assured your English proficiency will allow you to succeed academically. Second, the TOEFL score helps a college or university know where to place you in your course work. Different levels of English proficiency, as measured by the TOEFL test, may indicate the need to enroll in different levels of English language courses or college-level English composition courses.